There are definitely some ways to make packing for your next trip less stressful. These travel packing secrets will make your life easier and your suitcase lighter. Not to worry, you will have everything you need. Plan for mix and match. I love color, but for travel, it’s easier if you plan around a basic neutral, like black. Toss in a colored shirt or two for fun. Pick fabrics that travel well and are comfortable to travel in. Like denim? You might want to consider some with a dash of spandex, way more comfy to sit long hours on a plane. Rule of thumb. Every top must go with at least 3 bottoms and vice versa. It will save you trips to a laundromat and waste time sitting there instead of vacationing. Have a business event to attend? Use the same rules. Select outfits that make use of core pieces but can be put together for different looks. Select shoes for comfort and that are multi-purpose. Some people like to travel in work-out shoes so they don’t take up space in their suitcase. Other people prefer slip-on shoes that are easier to get on and off in security. Some people need 6 pairs of shoes for 4 days, others can get bywith 2 pairs for 2 weeks – dressy casual and walking. 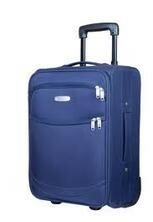 Think about fitting it all into a 24″ expandable suitcase. Make sure it has wheels. When you get there, you can just put the cubes in your drawers. Bam! 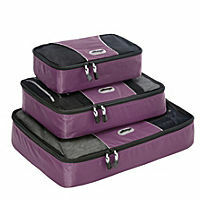 Travel packing secret 3 packing bags keep clothes tidy and organized. 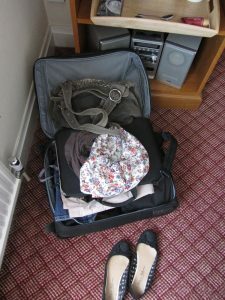 Or if you are living out of the suitcase, consider packing outfits in a bag. Grab one and you’re ready to go. Everything from the top and bottom to what goes underneath. Traveling with toiletries can get cumbersome. Take the smallest sizes you can find. (Giant hairspray cans take up a lot of room.) Ask your stylist for a suggestion of one that works for your hair and meets the 2 oz travel requirements. If checking a bag, you can avoid the lines at the Security Check Point by putting toiletries in the checked bag. Concerned about missing a flight and an overnight without them? Then you want your minimal needs with you. 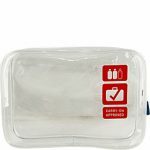 To give yourself more room, look for an approved gusseted plastic zip bag to put toiletries in. You can get more in the same size quart container with this type of bag. With its approved emblems right on the outside, there are no questions. What do you need for a wrap? Remember airplanes can be cool so layering can keep you comfy. Going where it’s cold? Carry the jacket with you, or put it in an outside pocket of your checked bag. This will assure it is easily accessible when you get your luggage. Don’t forget incidentals. What will the weather be? Chance of showers or bad weather? Make sure your outerwear and shoes will hold up to what you may encounter. Pack light, pack well, travel light, save your back and go have fun. There are different ways to visit spas. Here are some tips to help you enjoy it to the maximum. You can go in for a service. You can spend the day. Many hotels have spa’s on-site. This may mean you can spend the day at the spa, then wearing the lovely robe they provide, wander back to your room to freshen up. able to use. While we think of water and showers associated with spas, not all facilities have them. Some are only available to the person who is spending the day as opposed to a single service. You need to know this. Tip #2: What are you going to be doing after your spa appointment? Plan your visit around this. You will most likely have no makeup and messy hair when you finish. Some treatments include a scalp massage and you may have residual oil in your hair. It’s well worth the disarray. But, if you have social plans either make sure they have a place you can restore yourself, or take a hat. I strongly recommend a hat! It’s a great travel accessory. Tip #3: All spas should be collecting at least basic medical and skin history information about you. They need to know about any sensitivities that you have. If you tend to have sensitive skin, select non-aggressive treatments. Go for soothing and calming. They need to know what medications you are on, any implants you may have, or if you’ve had Botox or line fillers. experience. Let them know if you are uncomfortable, hot, cold, the pressure is too much or if a product is uncomfortable. Don’t just endure. They want you to be happy, but they can’t read your mind. Tip #5: Wet floors can be slippery. Use the slippers they have provided you. Tip #6: Some shower systems can be a mystery. If you can’t figure out how to turn their’s off and on, don’t hesitate to ask. Every time I travel, I run into one I’ve never seen before. Tip #7: Be a good spa guest. 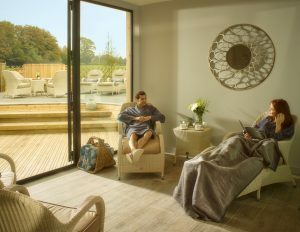 All spas want this to be a relaxing experience. Turn OFF your PHONE. No phones are allowed in a spa. Guests who don’t follow the rules may be asked to leave. Relax, enjoy your visit, disconnect from the world outside. Aegean. Welcome to the Greek Islands. On Amorgos, you’ll find a welcoming Five-Star Resort. Aegialis Hotel and Spa encompasses all of the hospitality Greece is known for. Here they focuses on wellness, nature and personal restoration. The islands are connected to mainland Greece by a ferry system. A leisurely cruise allows you to enjoy views of the islands, dinner and a glorious sunset. Only a few minutes ride from the ferry dock you will be warmly welcomed by Aegialis staff. You will awaken to a stunning view of the Aegean sea and islands beyond. Honeymooners, couples, and families all rank Aegialis a place to enjoy and come again. Relax on your balcony or by the pool. Pause and take inspiration from the hypnotic blue waters. Let them lull you to tranquility. Hike, enjoy the vistas, the quaint towns. Make the climb to the monastery. Take a donkey ride, enjoy yoga classes. You may find one of the owners teaching cooking classes. Go for a swim, sail, snorkel, or scuba. Learn about the unique ecosystem and the plants that survive on dew. Take the botanical tour to learn about Amorgian herbs known for their quality and medicinal properties. Ask your hosts about special adventures, extended off-season stays or personal wellness options. Join the locals for their weekly musical gathering in the classical Greek style. Learn a dance, enjoy the music. For centuries Amorgos has been known for its healing and transformative energy. Visit the monastery be sure for a glimpse into the life of the past. While there, ask to see the place of the ancient waters. Ambrosia restaurant offers choices. Comfortable inside dining or an outside terrace with vistas of the sea be a backdrop for your dining experience. They will delight your palate with delicious traditional Amorgian dishes as well as International ones. Fresh and locally sourced ingredients abound. The chef specializes in traditional Greek foods. He incorporates recipes from owner’s grandparents. In 2016 Alpha Guide listed them as one of the best restaurants in Greece. Lalon Idor Spa takes its’ name from the story of the ancient water oracle dedicated to god Apollo. Here visitors came seeking clarity and answers in prophetic water readings. Today you will find peace of mind in a nurturing and peaceful atmosphere. Tranquility and well-being are easy to attain. Let their therapists work their magic. Their nurturing hands will guide you to a state of stillness and rest. Let the voice of the sea soothe your mind away from your daily routine. 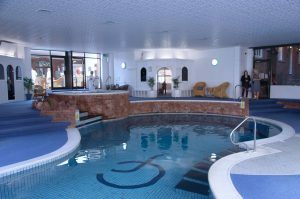 The treatment menu offers a generous selection of Spa Journies. They combine Eastern and Western healing arts with classical spa treatments. They will invigorate you and help you unwind. You’ll leave feeling refreshed and restored. Choose active or quiet, adventure or pampered. The sheer beauty and magic of this place is balm to your soul. Go, play, restore. The Neolithic settlement of Skara Brae is the oldest in Britain. It’s the oldest building, located on Orkney Island dates to 3100 BC. Orkney is one of about 790 islands in Scotland located to the far north of the country. Roman invasions marked the beginning of modern history. Unable to defeat the locals, they finally withdrew and settled for building the Antoine wall to keep them in out of England. The Gaelic kingdom of Dál Riata was founded in the 6th Century. In the next century, an Irish missionary founded a monastery and introduced Celtic Christianity to the pagan Scoti and Picts. Like tall places? Visit Ben Nevis, the highest point at 4406 feet. The ancient Scottish mountains have been glacially sculpted. You’ll feel like you are in an alien landscape, majestic and stark. Prefer fishing? You’ll find more than 600 square miles of freshwater lakes. The deepest is Loch Morar at 1077 feet. Legends still exist of giant sea monsters lurking in the deep lochs. Don’t miss the distilleries making Scottish whisky. Whisky is synonymous with Scotland. It’s who they are. Currently, there are 98 active distilleries. They employ over 10,000 people and account for 85% of the Scottish food and beverage exports. Did you know? Scotland didn’t invent whisky. It was invented in China. The Irish monks started distilling it in the 1400s and it reached Scotland about 100 years later. Scotland is home to the oldest tree in Europe. You can discover the twisted yew in Fortingall where it has grown for 3000 years. Over 2000 castles were built in Scotland. Many now are only historical documents or ruins. Others remain in private ownership. 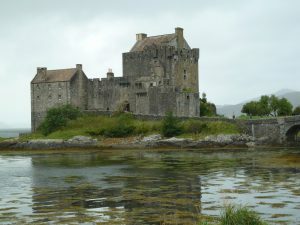 Historic Scotland cares for over 300 properties including 65 castles. These are open to the public. Be sure to take a raincoat or umbrella as it rains frequently in Scotland. Be sure to take a raincoat or umbrella when touring here as it rains frequently. Most of Scotland’s 5.2 million people live in the lower 30% of the country. They account for 8.5% of the total UK population. What’s in the upper 70%? Glacially sculpted mountains and valleys, hardy farmers, lots of heather and sheep. Keep meeting Americans with Scottish ancestry? Not surprising. There are as many Scottish people in America as in Scotland with about 5 million claiming Scottish ancestry. You’ll hear not one but three official languages spoken. English, Scottish and Scottish Gaelic. Kilts, tartans, and bagpipes are an integral part of Scottish culture. But history notes evidence of them in Central Europe dating to the Bronze Age. Bagpipes may have come from ancient central Asia. Is Britain on Your Bucket List? Is traveling internationally on your bucket list? Don’t let the dream slip away. International travel is life-changing. It’s an adventure. Faraway places, new cultures, different accents, not to mention the food. You’ll experience broadened horizons, great memories. Britain is a great place to start. The first wagon train crossed the US heading west in 1841. That’s 175 years ago. No original wood structures are still standing. In Britain 175 years of age is nothing for a building. 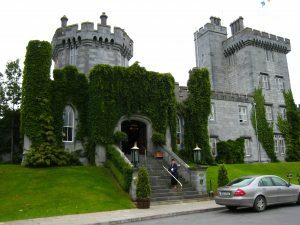 You can stay in a castle built in the 11th century, or an inn built in the 1700s. Look and you will find evidence of people living there for over 2000 years. Stonehenge is the most famous of the standing stones. Other standing stones are much older. Some date back to the Neolithic age and you can walk freely among them with no fences or restriction. Hidden gems you can seek out. They will inspire you. Right now, it’s a great time to visit Britain. The rate of exchange from dollars to pounds is the best ever. British pounds have always been worth more against any other currency. Right now instead of being near $2.00 to 1£, it has been hovering around the $1.33 range. That means your dollar goes a lot farther. Two other benefits? They speak English. And more Americans have British ancestry than any other group. You can trace your roots; walk the soil of your ancestors. Or, just enjoy the people and places. A little planning will help your trip be a success and memory maker. Do you want to stay in the big cities? It’s easy to take the train to get between them. In 4-1/2 hours, you can get from London to Edinburgh. Or maybe you want to focus just on one city. Public transit can get you around like a local. Maybe you want to get out into the countryside. Meet the locals. Experience the charm of the villages. Just like in the US, get out of the big cities and you will find the people more friendly and relaxed. Visit castles, standing stones, manor houses, quaint inns. Stop into a pub for a cup of coffee, tea or brew. They are happy to share their stories, their history. You could take tour buses, many people do. You and a group of 40 are loaded up and shuttled off to see the sites. Going with a crowd not your idea of fun, you could rent a car. Renting a car in the UK is a bit of an adventure. You will be driving on the opposite side of the road. It’s easiest done with a driver and a navigator. The driver can focus on the road and the navigator can guide the turns. Country maps are handy but often they don’t give you road detail. A good sat-nav is helpful. Rent a car with a sat-nav, or take a device like a Garmin with you. Smartphones have navigation ability but it is going to be using your data feed. Prices for data in foreign countries can be steep. Investigate before you go. You may only want to use your device where there is free Wi-Fi. Do you want to get the flavor of Britain? Maybe this is a family heritage trip. Maybe you want to try hiking. Traveling Hadrian’s wall, in the beautiful Lake District or the Yorkshire Dales are popular with the locals and visitors alike. Do it for a day, or take one of the routes that include overnights along the way. Horse lovers can do day rides between bed and breakfasts and see the country in a unique way. Identify your goals and you are a giant step closer to getting the experience you want. Plot out where you want to visit and pick destinations. For the best prices, check Trip Advisor or other online booking agency. Other traveler’s reviews can help you select the place that meets your needs and budget. Once you have your list, contact the property directly. Ask about their specials. Hotels and inns have to pay those booking companies a commission, up to 15% of the room cost. Typically, if you call direct, you will save. Peak season in the UK is August. Loads of locals take their vacations then. If you can avoid it, you will save money and find your destinations less crowded. You won’t typically find that much difference in weather from spring to summer. Many people claim that like Oregon, autumn can be the best. If you are interested in winter sports like skiing, winter is the season for you. England, Scotland, and Wales are bigger than they seem. Yes, you can take the total square miles and put it in the state of Oregon. But the island is longer and narrower. The route from the traditional extreme end points of Land’s End to John o’ Groats is 814-838 miles depending on route. Driving time without traffic just under 16 hours. There will be traffic, count on it. Also, lots of interesting places in between. Don’t miss them. Selecting one or several areas to focus on. Stay several days. Explore from your base camp. It’s more relaxing than living out of a suitcase. 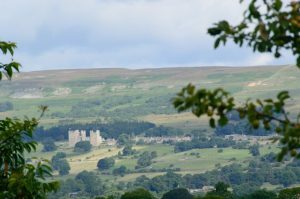 Castles, manor houses, Inns and Bed and Breakfasts all across the UK offer accommodations. Chain hotels with names you will recognize are also available. They may not look like the ones back home. Camping, yurts, glamping and recreational vehicles called Caravans are popular with the locals. Pick your experience. If driving, allow for the roads. Going a distance of 135 miles in a day sounds easy. It is on a freeway. 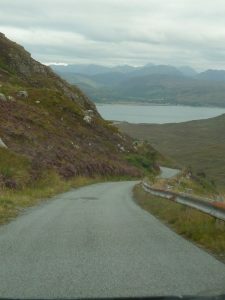 But if is on two-lane roads there are lots of curves more as they cross the undulating lands. A two-hour freeway trip can easily take four on secondary roads. Take time for photo opportunities. They will be around every bend. Author Judy Culp-PearsonPosted on September 19, 2016 June 8, 2017 Categories TravelTags travel, Travel Planning, visit Britain, Visit England, visit Scotland, Visit United Kingdom, Visit Wales1 Comment on Is Britain on Your Bucket List? Nestled next to Siletz Bay, Salishan Resort has been offering wellness for decades. Many baby boomer natives grew up visiting there. Freshly remodeled and updated, guests are returning to enjoy the magic of this coastal oasis. Salishan sits on 250 lush acres. It seems to be one with nature. Play a round of golf on their top-caliber course stretching from the bay to the edge of old forests. Walk on paths among the tall Douglas firs and Sitka spruce that leave you feeling you may have stepped into another place and time. Stay, relax, and rejuvenate. The remodeled modern guest rooms wrap you in rustic luxury. Throughout you will enjoy Oregon Coast materials. Local woods, marble and stone. Whether you choose a simple spacious room, with a private balcony, or a lavish suite with its own hot tub, you won’t be disappointed. Oregon Coast details abound in The Spa at Salishan. From the moment you enter, coastal restorative elements surround you. Relax in the lounge and watch eagles soar over the bay. Or soak up nature from the outdoor infinity whirlpool accompanied by the dull roar of waves crashing. Succumb to the hands of skilled massage therapists. Cool coastal temperatures make hot stone treatments a favorite. This Signature 90 minute treatment will shift you into a state of complete relaxation. With 8 different massages and 60 or 90-minute lengths, you have many choices. 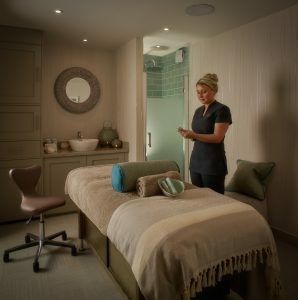 Choose from a full range of customizable facials, body treatments, hand and foot treatments and salon services available. Spend an hour > spend the day. Retreat alone, bring a friend. With four unique restaurants, your hardest decisions will be choosing which one. Choose their Signature room, Gray’s for creative Pacific Northwest inspired dining. Gray’s specializes in fresh local seafood and steaks. Their award-winning chef is known for his special creations and flavors. Enjoy the spectacular views of the coast while you try one of their famous potpies. If you want something more casual The Sun Room, The Attic Lounge or the Grill at the Golf Clubhouse each have their own special charm and unique atmosphere. Go, explore, and stay. There’s lots to see at the coast. Summers are high season at the Oregon Coast. Be sure to make your reservations in advance. The coast is popular year around for weekend escapes by those who live in the Willamette Valley. It’s only 2 hour 15 minutes from Portland. Inclement weather doesn’t slow down Oregon Coast goers. They flock to vantage points where they can watch the power of Pacific storms high winds and crashing waves. For the best pricing check out one of Salishan’s package specials or visit during the off-season. October to May visitors enjoy less traffic and lower pricing, especially Sunday – Thursday.